Which type of flooring is the wisest investment? Home » Blog » Which type of flooring is the wisest investment? One question we often receive here at Monarch Carpet, Drapery & Upholstery is, Which type of flooring is the wisest investment? As a homeowner, you don’t want to spend plenty of your hard-earned money on flooring that won’t stand the test of time or add value to your home. And it’s so important to get flooring that you’ll really love to have for many years to come. So the answer to this question can vary widely depending on your personal preferences, market factors, and future trends that no one can reliably predict. For instance, right now, hard wood floors are incredibly popular among prospective home buyers, so many people are upgrading to hard wood, but there’s no guarantee that it will continue to enjoy the same widespread popularity in the future. What it comes down to, for many homeowners, is selecting high quality flooring in a material you genuinely like and can picture yourself enjoying for many years to come. When choosing flooring for any room in your home, there are so many factors to keep in mind. The good news is that you don’t have to do it alone – enlist the experts at Monarch Carpet, Drapery & Upholstery. 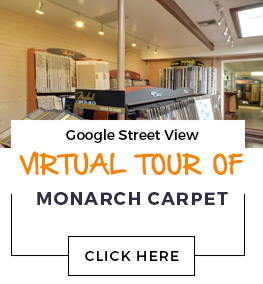 We’ll be happy to help you consider every variable and you can choose with confidence when you get flooring from Monarch Carpet, Drapery & Upholstery. All of our flooring materials and styles are of high quality and with our professional installation services, every single inch of your new floor will look great for many years to come. Avoid analysis paralysis by relying on the flooring experts at Monarch Carpet, Drapery & Upholstery. Give us a call at (877) 766-6272 and we’ll gladly schedule your in-home consultation. We’ll take some measurements, discuss the various options with you and give you expert advice, and provide you with a free estimate for your new flooring. You’ll be well on your way to having gorgeous new flooring in no time! We also have many customization options to give your flooring that unique flair you’re looking for – including stains, patterns, textures, colors, and more. Give us a call at (877) 766-6272 to get started today! We also invite you to come to our conveniently located store – at 3007 West Temple Street Los Angeles, CA 90026. Business hours are Monday–Friday 7:00am to 5:00pm. 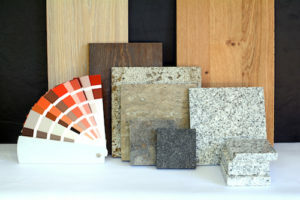 There, you’ll find plenty of helpful flooring experts to guide you through the decision process. You’ll also be able to see and touch real flooring samples before you make your purchase. We’ll assist you with weighing the pros and cons of various flooring materials and styles so you feel totally great about your decision. You’re going to love your flooring for many years to come when you get it from Monarch Carpet, Drapery & Upholstery. Our flooring is always a wise investment.